Over the past 5 years our team has done a great job with printed and distributing Supershow the Game, however nobody is perfect, here is a list of cards that have been misprinted. Some mis-prints are harmless, others jeopardize game balance and need to be addressed. The legal versions of these cards are posted below. We will call these rulings the Intention Rules, which means how the cards were intended to be printed. 00-Ariel Lipstick. There are play-test versions that were printed on error where the Gimmick reads, “when you roll POWER for your Turn or Finish Roll, your opponent buries 2 cards in their hand”. Above is the true wording. 16- Big Boot, 17- Sambo Suplex 18- Surfboard Stretch. The above cards were each printed with Skill Requirements on error. This is the legal version of the card, you can ignore the Skill Requirement. 00- The Immortal Warrior. There are versions of this card that say “once a turn: you may reveal and bury a follow up in your hand to draw 2 cards.” The above is the correct version. This is also a version with an incomplete sentence. All versions of this card read the above. 00- Wooly Bully. There are versions of this card that were printed with two 10 Skills on error. The above version is the correct version with the correct card text (one version has “or” rather than “of”. Furthermore Only Competitor with Skills 5, 6, 7, 8, 9, and 10 are legal for play, anything else is a misprint and will be added to this list. 20- Spinebuster. Versions of this card were printed on error as card #17. The above is the true version of the card. 28- 4:20 TO YUMA. 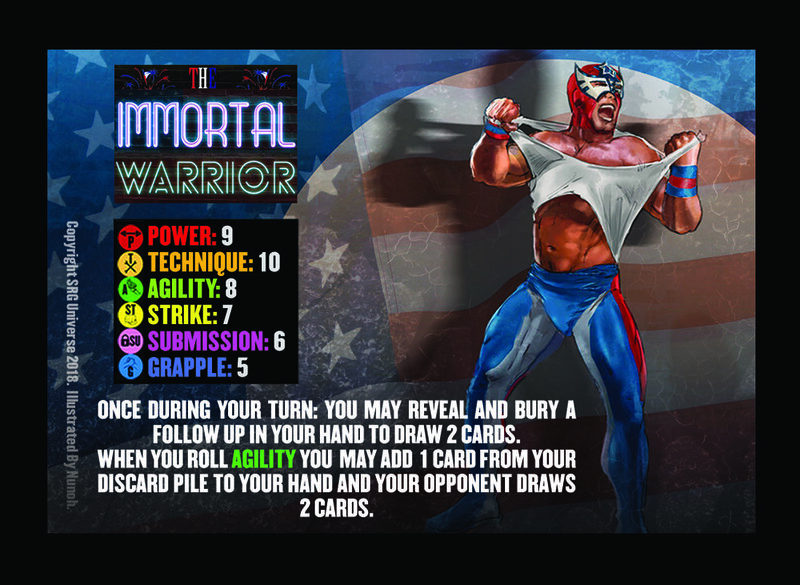 The original version of this card was unclear as to where the opponent buried the cards from. The above text clarifies this. 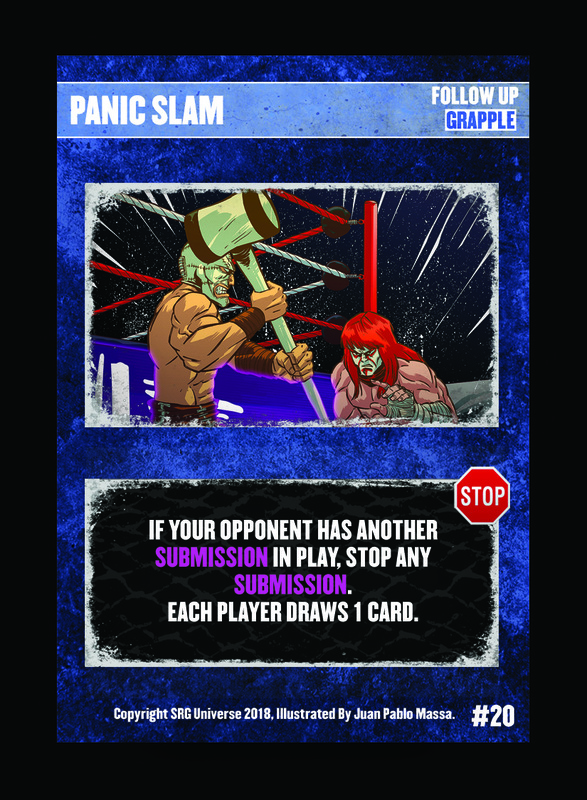 20- Panic Slam. This card was printed without a STOP sign. All versions of this card are considered to have a STOP sign.